Now that Microsoft has announced it's through with Windows Media Center, what options do you have left to build your own machine for recording, organizing and watching TV? A new one ready to enter the scene is SiliconDust's HDHomeRun DVR, which recently launched on Kickstarter and is scheduled to arrive this fall. SiliconDust made a name for itself among home theater PC builders by bringing the devices they need to plug in cable or antenna TV, and with the DVR it's making the software too. Diving into the crowdfunding effort now will get you early access to software that promises TV how and where you want, all without needing to build a computer to run it. 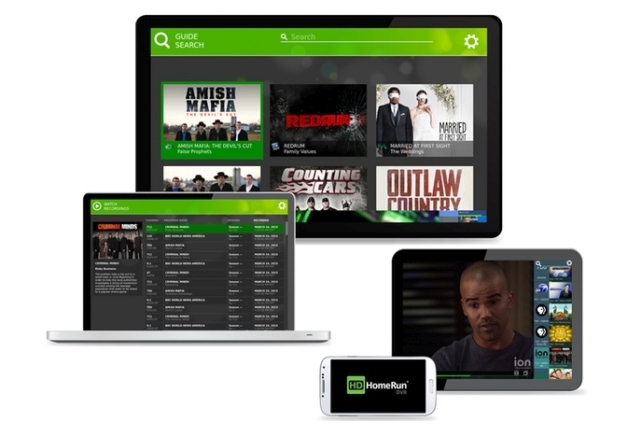 Simply put, the HDHomeRun DVR will have you plug a cable or antenna feed in one of SiliconDust's tuners -- the boxes or cards that decode TV and turn it into video for playback elsewhere -- then watch TV on Windows, Mac or Android. If you want a DVR, then recording to a Windows, Mac or Linux-based computer is possible. No more taking a slow, limited box from your cable company or just living with what's available via on-demand or streaming. Another option is going "headless" by connecting it to a NAS (network attached storage) unit from companies like Western Digital or QNAP, which is supposed to make things a little more simple. If you want more recording space, then just plug in another hard drive. If you want to record more channels at once, just buy another tuner -- the appeal of the DIY DVR is being able to choose what features you need. The HDHomeRun family is already able to handle protected channels, so you won't have to give up premium channels like HBO. According to CEO Ted Head, one of the first things many cord cutters have to give up is the DVR feature. While other options like TiVo's Roamio OTA, Tablo or Kodi (formerly XBMC) exist, they tend to come with some drawbacks. Tablo is only for TV broadcast over the air, Kodi by itself doesn't have access to protected cable channels, and TiVo isn't as flexible. Sling TV's internet service doesn't have DVR features on every channel, while PlayStation Vue is both more expensive and only available in certain areas. There's a rumor that the Xbox One will be able to work as a DVR / Windows Media Center replacement, but we don't know exactly how that might work or if it will happen any time soon. The way this Kickstarter is setup, if you already have the HDHomeRun box you can jump in with $30 for a one-year subscription, and get software a month before it's available to the public. If you need to pick up some hardware to get started, there are higher pledge amounts that include one or more HDHomeRuns, and even bring network storage setups if you need them. The Kickstarter is already a success and has crossed its $100,000 goal with a couple of weeks left to go. New stretch goals include plans to create an add-on for Kodi that will bring its TV recording to the platform (it already launched a live TV add-on) at $150k, while at $250k it can staff up to launch clients for viewing on other platforms. The list includes Roku, Chromecast, iOS, Xbox One and Samsung's Smart TVs as options. Whether it means running a dedicated HTPC or plugging a hard drive into your router to serve as DVR storage, this may not be the easiest option for cord cutters, at least at launch. Right away, the limited support for players will probably mean either plugging a PC into your TV unless you have an Android TV / Fire TV box. You may be able to view TV with other devices, but without access to premium channels. At first, this is coming a promising replacement for those Media Center setups that have been waiting for an update, ready for people who prioritize control and customization for their experience. While we're still waiting for a CableCARD replacement that will make DIY home theater setups an even easier choice -- we've been waiting for a very long time -- hopefully this is just the start of a trend (ahem, Ceton?). 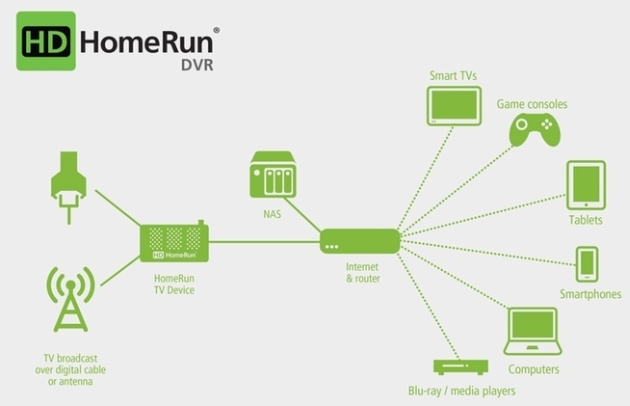 The plan is to have the HDHomeRun DVR software ready for backers to try in August, and the general public in September. There is that $30 per year subscription fee for guide data and the like, but it's a relatively small fee and is tied to your account, not any particular hardware. SiliconDust isn't offering any TiVo-style "lifetime" subscriptions, but Kickstarter backers can tack on extra years upfront for $25 each. Need more information? Check out a couple of videos explaining the project further.